Find your way home to Compass Rose! A custom Chi-Mar Construction home, this house features an open floor plan, pool, incredible Gulf views, and much more. Join us and take a sneak peak inside! As soon as you walk into this home, you’re immediately greeted with unique fixtures and plenty of natural light. 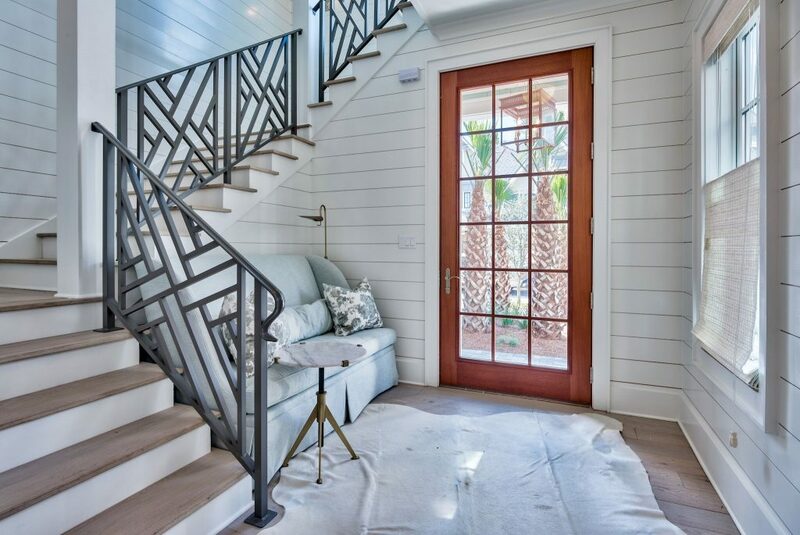 The white shiplap illuminates the sunlight, and the warm wood floors bring an added depth to foyer. Guests can make their way upstairs to the bedrooms and added living spaces, or they can walk straight through to the kitchen, living, and dining room! 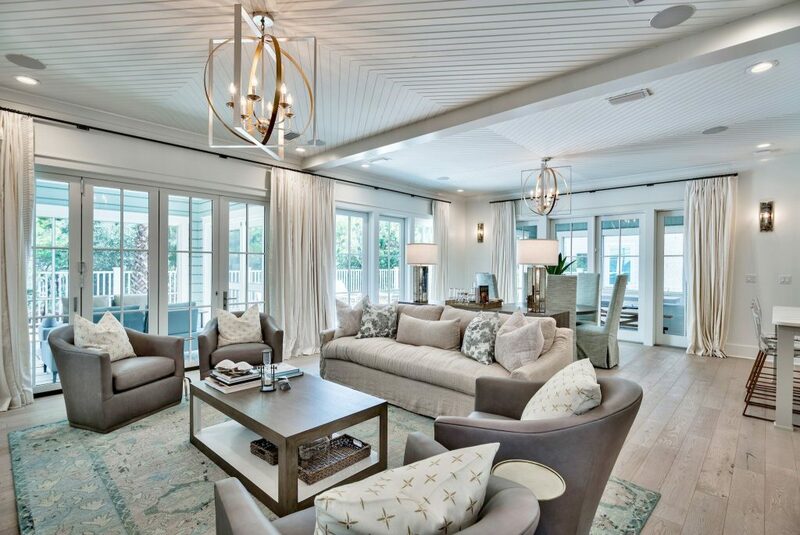 Check out this spacious living room! With wood paneled ceilings, unique light fixtures, rustic flooring, and floor-to-ceiling windows, this home is ready to entertain! The kitchen is conveniently located next to the living room. 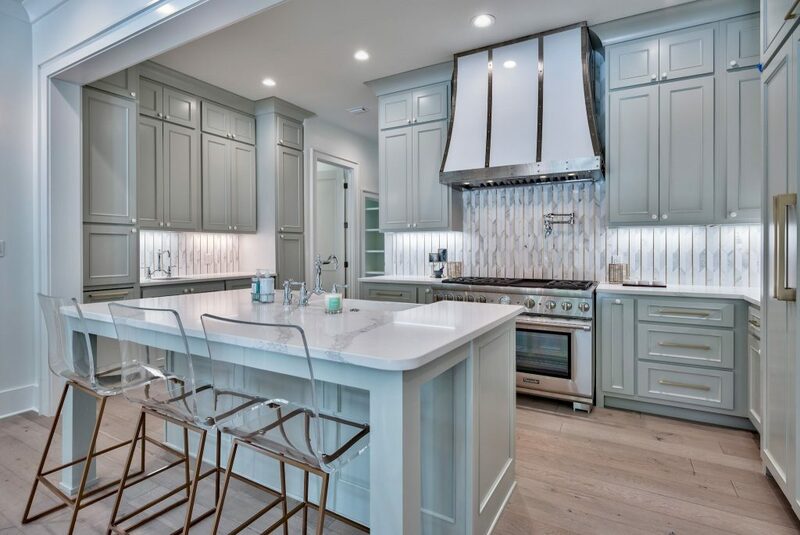 A large range, marble countertops, stylish hood, and plenty of storage, this kitchen is fit for a chef! When you’re ready to retire for the evening, make your way upstairs to the master bedroom. This large space fits a king size bed and sitting area comfortably. What’s not to love about a custom closet? 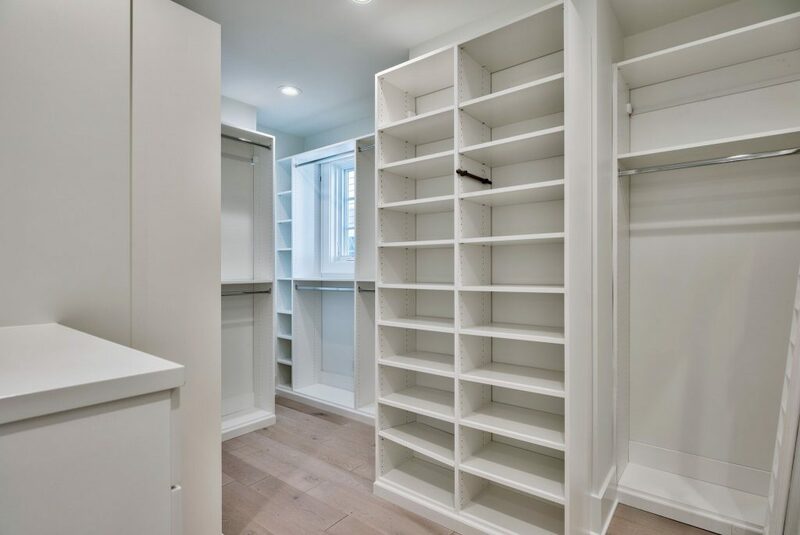 With plenty of space for clothing, shoes, handbags, and more, this master closet will keep you organized! This bathroom feels more like a spa! 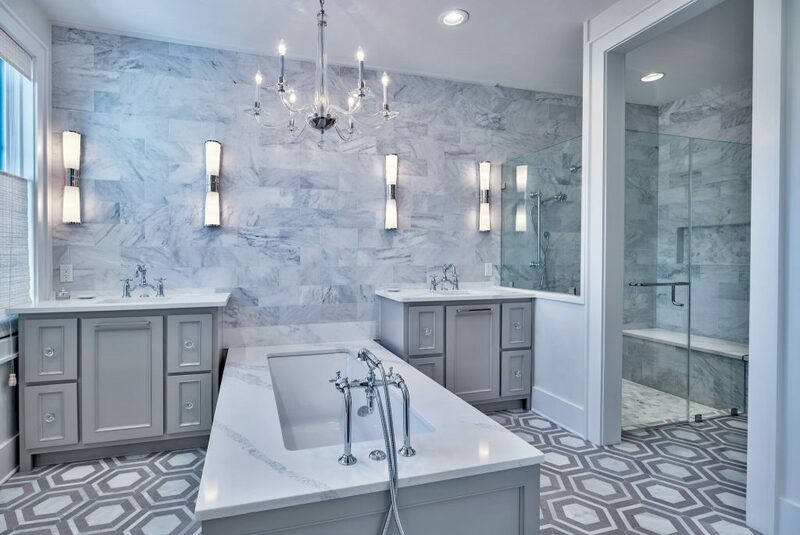 From the flooring to the accent wall, these features highlight the sunken tub and glass shower. If this home has you wishing more for your house, let Chi-Mar Construction help. From renovations to new construction, we can make your dream house a reality! 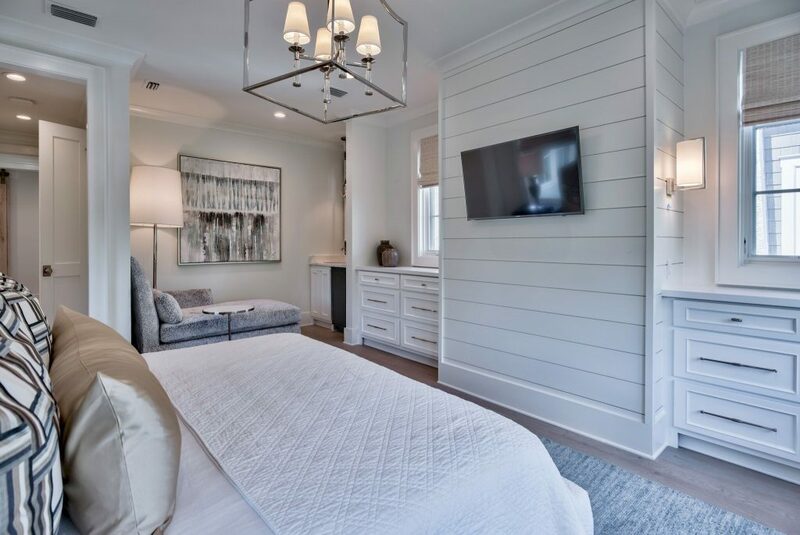 From preliminary visions to selecting vendors and putting the final touches on a project, the Chi–Mar Construction team ensures each and every detail is covered. 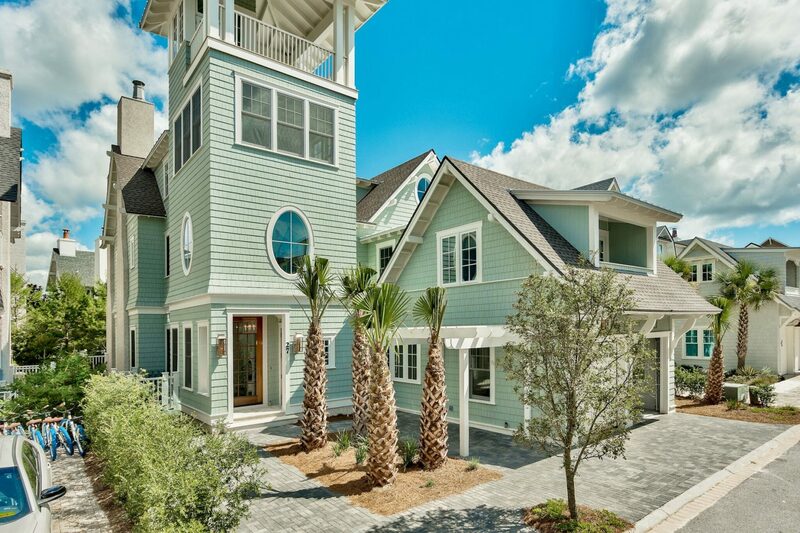 For more information or to begin your construction project today, go to www.chimarconstruction.com or find Chi–Mar Construction on Facebook, Twitter, and Instagram, or by calling our office at (850) 837-8016!